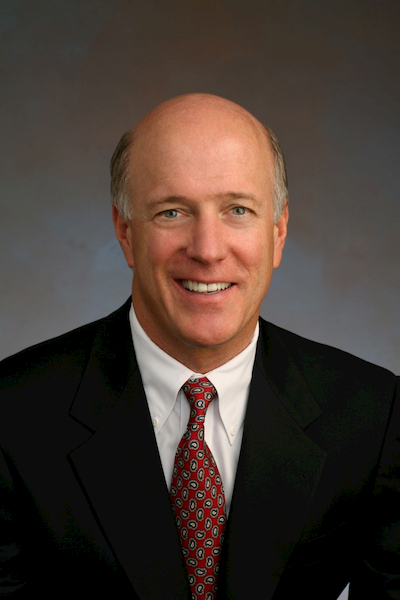 Pat Donahue ’78 (business administration – marketing), chairman and CEO of Newport Beach-based real estate investment trust company Donahue Schriber Realty Group Inc., is a recipient of Cal State Fullerton’s 2019 Vision & Visionaries award, the highest honor bestowed on alumni of the university. Donahue discusses the outlook for the commercial real estate market and advice for young professionals seeking careers in this industry. From office space to industrial warehouses to high-end apartment constructions, the commercial real estate industry has been front and center in the economic rebound of the past decade, particularly in Southern California. While most experts agree that the sector should remain at least moderately strong in the near term, Pat Donahue ’78, Cal State Fullerton business administration – marketing graduate and chairman and CEO of Donahue Schriber Realty Group Inc., says the growth areas among the major products that define the industry, including industrial, office, retail and apartment spaces, are changing. 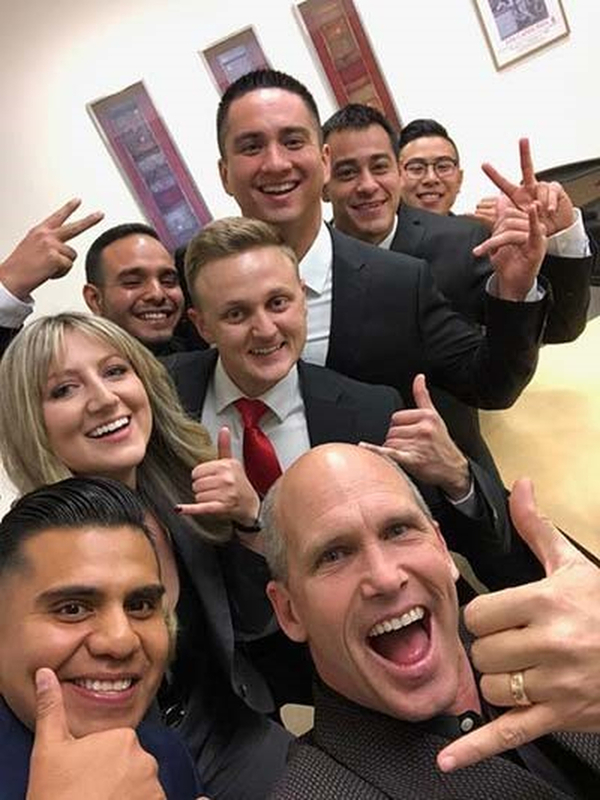 The Cal State Fullerton undergraduate consulting team – students who consulted for Keller Williams Realty – led by Marketing Lecturer Scott Sorrel (front right), celebrates their recognition in the National Small Business Institute Consulting Project of the Year Competition. Once again, Cal State Fullerton student teams have received national recognition for their consulting projects on behalf of Southern California businesses. Six business undergraduates took third place in the 2018 National Small Business Institute Consulting Project of the Year Competition for their advising on behalf of Keller Williams Realty, while six business graduate students took top place among master’s-level teams for their consulting with Saigon City Marketplace. The results were announced in March 2019. Led by faculty advisors with decades of academic and professional experience in management, marketing and entrepreneurship, the consulting projects give students the opportunity to hone their business acumen while giving local companies insights from a new generation of professionals. 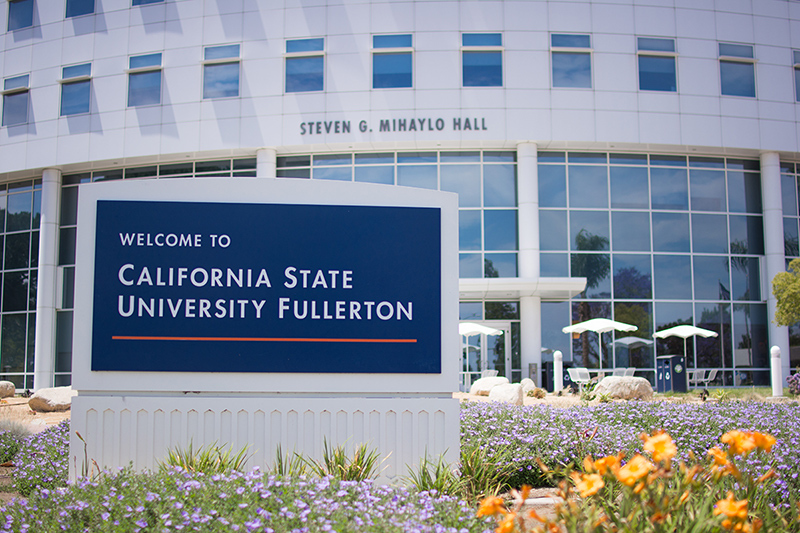 Since 1991, Cal State Fullerton students have won 12 national championships and finished in the top 10 in 35 cases, translating to one top 10 placement every nine months. Continue reading on this CSUF News article. Or for more information on the program, visit the CSUF Consulting Program online. 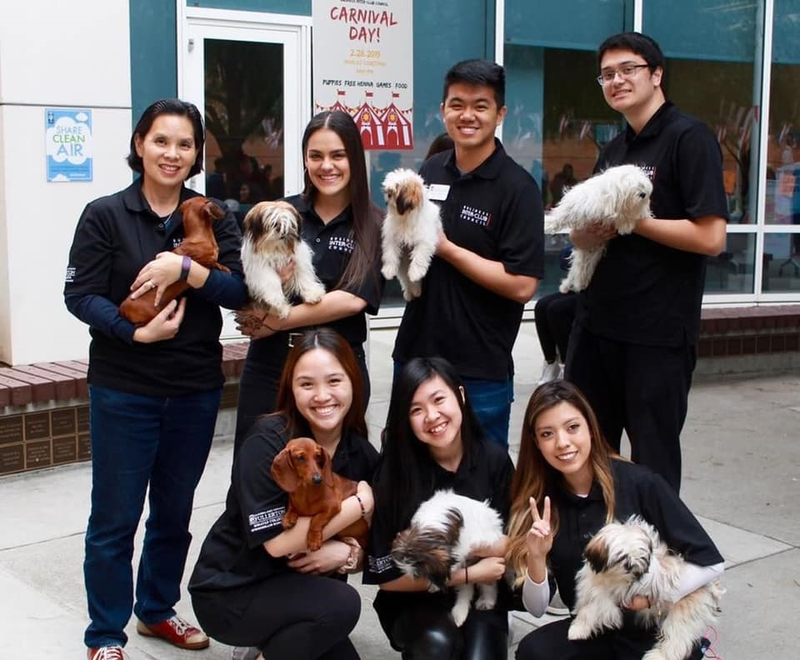 Cal State Fullerton business students and Assistant Dean for Student Affairs Emeline Yong (standing left) enjoy cuddly puppies at Business Madness in 2019.
Business Madness Week, the annual keynote festival of Cal State Fullerton’s Mihaylo College of Business and Economics, featured food, games, adorable puppies and a talk by endurance athlete Colin O’Brady. Kicking off on Feb. 28, Mihaylo College’s annual Business Madness Week, sponsored by the Business Inter-Club Council (BICC), began with one of the most photogenic and endearing of the college community’s traditions – a visit by a group of young canines from puppy party purveyor Pups and Reps. Temporary henna tattoos and festive foods rounded out the kickoff. With a dining etiquette workshop, a bazaar fundraiser featuring edible delights from cultures around the world, and a career expo, the week provided a mix of the lighthearted and professional. Dinner with 12 Titans facilitated networking with alumni in professional positions through small group dining opportunities at graduates’ homes. The March 6 guest speaker visit by endurance triathlete Colin O’Brady marked the high point of the week. The free event, open to Cal State Fullerton students of all majors, featured an inspirational discussion on personal achievement from the world record holder who recently made headlines for his 932-mile trek across Antarctica in fall 2018. The Yale alumnus’ records, which include climbing dozens of the world’s highest mountains at unprecedented speed, are even more significant in light of O’Brady’s nearly career-ending injury a decade ago. Continue reading about Business Madness Week in this article from The Orange County Register. 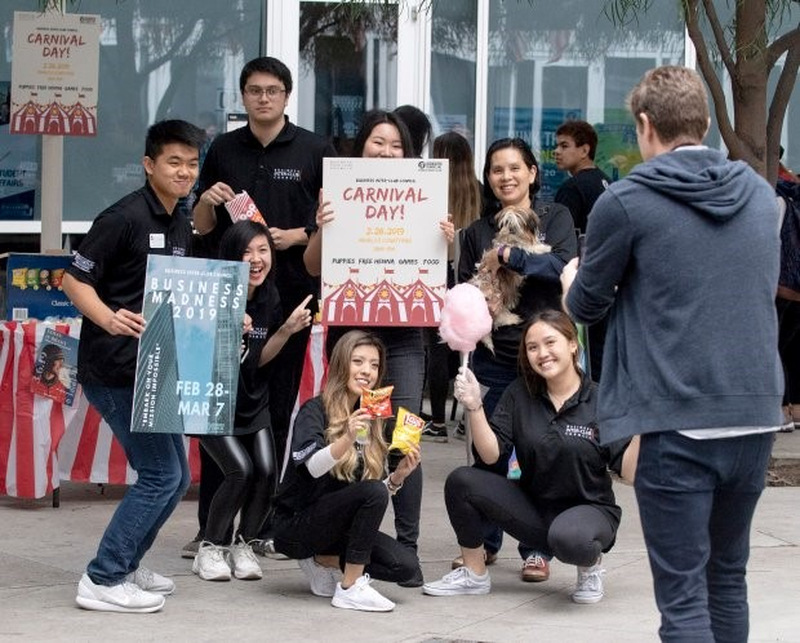 Students show their school spirit at Carnival Day on Feb. 28, 2019. Photo from Paul Bersebach, Orange County Register/SCNG. March 8 is International Women’s Day, an annual commemoration to recognize the world’s diverse women for all their achievements in the professional, academic and personal spheres. Initially observed in the first decade of the 20th century as part of the Progressive Era labor and female suffrage movements, the day was recognized by the United Nations in 1975. Today, it is observed on the eighth day of March in a wide range of countries globally and is a public holiday in much of the former Soviet Union. Across the U.S. and globally, today’s women are part of a growing trend toward female-owned and operated entrepreneurships. The National Association of Women Business Owners reports that there are 11.6 million businesses owned by women in the United States alone, employing nearly 9 million people and generating $1.7 trillion in sales and revenue as of 2017. Of these enterprises, the majority – 5.4 million – are at least majority owned by women of historically underrepresented ethnic and racial groups. Looking specifically at firms with revenues of $1 million or more, one in five is woman-owned, a percentage expected to increase steadily in coming years. And of particular interest to millennial and Generation Z women is the trend for women business owners to launch their startups earlier in their careers than their male counterparts, with 51% of female business owners under the age of 50, according to a Guidant Financial survey. Nearly a fourth were in their late teens, 20s or 30s. Globally, as many as 111 million women were leading established businesses in 2016, the latest year that statistics were available from the Global Entrepreneurship Monitor. While North America is the top region for female startup success, entrepreneurship rates are at parity with men or even exceed male representation in three growing economies – Indonesia, Malaysia and Brazil. Cal State Fullerton’s Mihaylo College of Business and Economics is committed to ensuring that women – whether college students, alumni or other residents of the Southern California community – have the resources they need to succeed in business leadership, entrepreneurship or any other endeavor they aspire to. The college’s Women’s Leadership Program, which gives exclusive access to personalized mentoring and leadership development to 25 high-achieving female students of sophomore standing or higher, seeks to support the success of women students at Cal State Fullerton through a leadership model focused on the four pillars of transformational leadership – character, competence, context and communication. For more information on how to get involved, whether as a student or an industry mentor, reach out to mcbewomen@fullerton.edu. 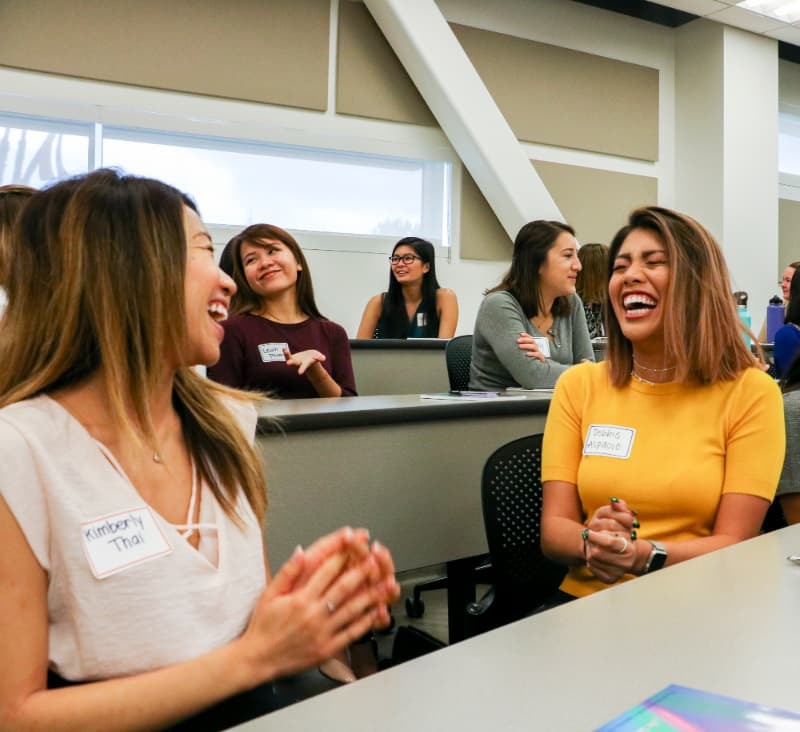 New for 2019, the Titan Women Collective, brainchild of small business specialist and entrepreneur-in-residence Charlesetta Medina ’10 (entrepreneurship), is aimed at junior- and senior-level business undergrads at Mihaylo College, providing advising from Orange County business executives and development in soft skills, such as negotiation abilities and self-advocacy. Want to get involved? Reach out to Medina at cymedina@fullerton.edu or 657-278-8243. Mihaylo College’s Center for Entrepreneurship, lead office of the Small Business Development Center and Center for Family Business provide startup or growth advising and assistance, professional support, networking connections, connections with startup funding, and business development to women entrepreneurs and professionals. Their outreach includes support for the college’s students, alumni and others without academic ties to Cal State Fullerton. Want to make a difference in a social enterprise or philanthropic endeavor? The college’s Gianneschi Center for Nonprofit Research looks forward to supporting women seeking to launch their concepts to do well while doing good. Adam Gubman (center front), composer and writer for such high-profile clients as Disney and Blizzard Entertainment, poses with Mihaylo College students during his visit to campus on Feb. 12, 2019. Orange County native Adam Gubman has been writing, composing and arranging music for television programs, theme parks, video games and commercials since his adolescence in the 1990s. 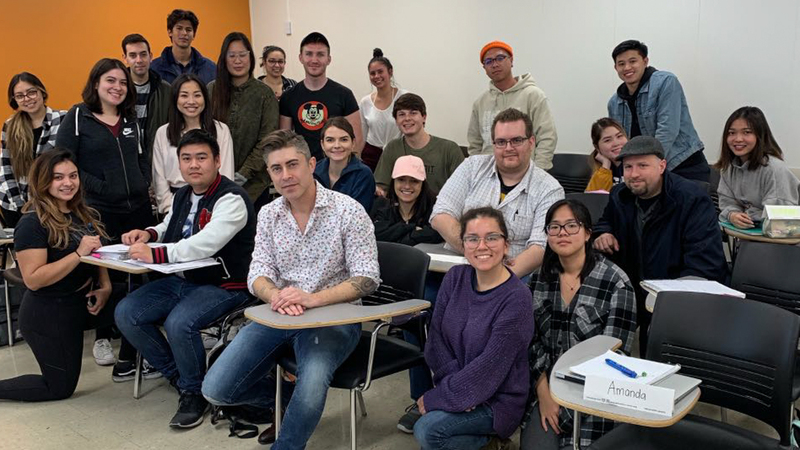 Gubman, currently a partner at Moonwalk Audio, discussed his career journey and opportunities in the musical areas of modern production at a visit to Cal State Fullerton’s Mihaylo College on Feb. 12. When Adam Gubman visits Disneyland, goes to a movie or watches the latest TV shows, he is likely to come across some of his own work as a musical writer, composer and arranger. In a career already spanning a quarter century, the 39-year-old has written for Disney, Blizzard Entertainment, NBC’s “Today” show and others, with his work appearing in video games, blockbuster films, TV shows and commercials. “I’m a producer, an engineer, an orchestrator, a voice-over-director, a copywriter, a lyricist, a performer to some degree, and the highest paid white rapper in Ladera Ranch where I live,” said Gubman during a Feb. 12 visit to Cal State Fullerton’s Mihaylo College, sponsored by the Center for Entertainment and Hospitality Management. Gubman works with Cal State Fullerton’s own Joris Hoogsteder, a master’s alumnus who studied music, as his junior composer and fellow partner, and sound designer Alex Cox. Gubman’s work makes it possible for today’s leading entertainment companies to create memorable experiences to millions of viewers around the world. 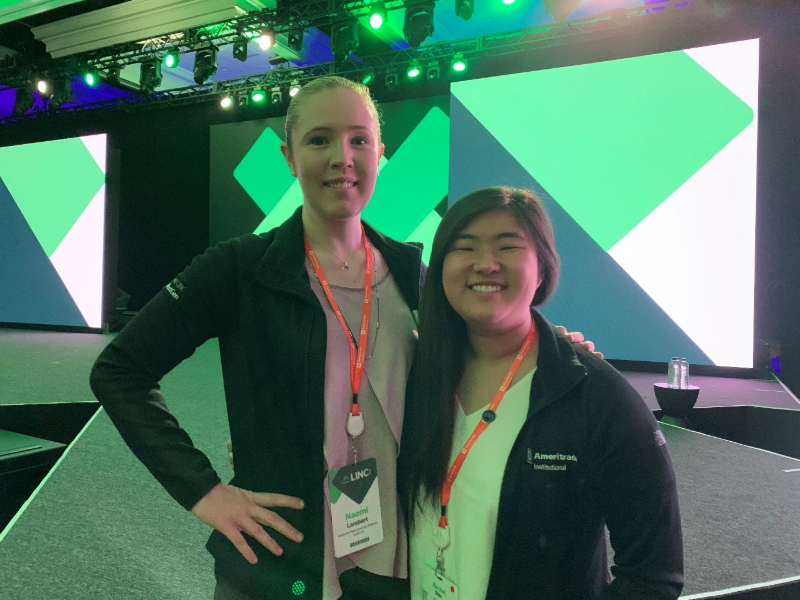 Two Cal State Fullerton students studying personal financial planning, Rachel Shin ’19 and Naomi Lambert ’19, were among a select group of students from across the U.S. to attend the LINC Conference, the annual TD Ameritrade financial advisor industry convention. The event, held at the Manchester Grant Hyatt in downtown San Diego from Feb. 5 – 9, provided networking opportunities with top industry and business talent, insights into the life of financial planning professionals, and keynote presentations by such names as entrepreneur Robert Herjavec of “Shark Tank” fame and award-winning photographer Platon. CSUF accounting and finance alumna Passang Baro ’13 works in the Financial Contract Reporting Administration of Burbank-based entertainment giant Warner Bros. She provides an inside look at her role and business-related positions in the entertainment industry, along with how to get started in the ever-changing field. 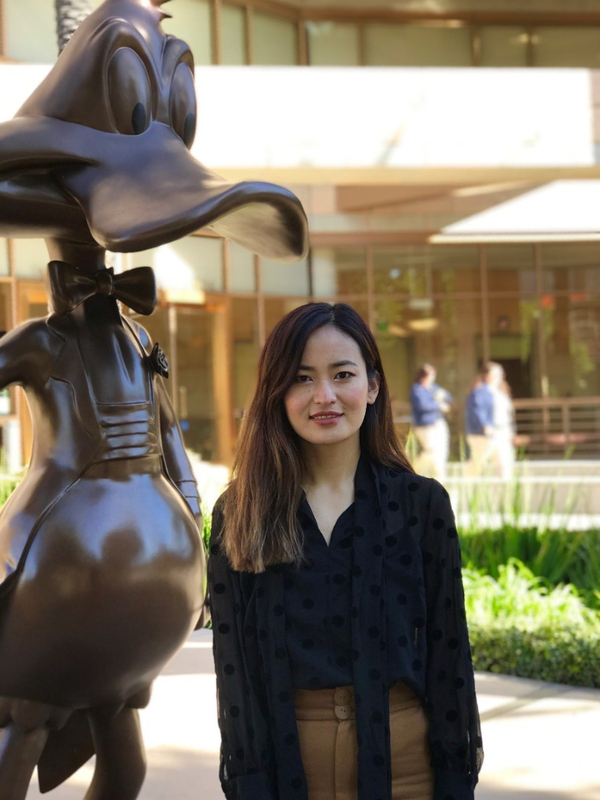 As a senior at Cal State Fullerton’s Mihaylo College of Business and Economics, Passang Baro ’13 took a six-month internship at Disneyland Resort in Anaheim, part of the Disney College Program. The opportunity would launch the young professional into a career utilizing her accounting and finance education in the Southern California entertainment industry. After being referred by a former supervisor to an auditor role at SAG-AFTRA, the labor union representing 160,000 film and television actors, artists and related employees, she accepted the position, later moving up to a senior auditor role. 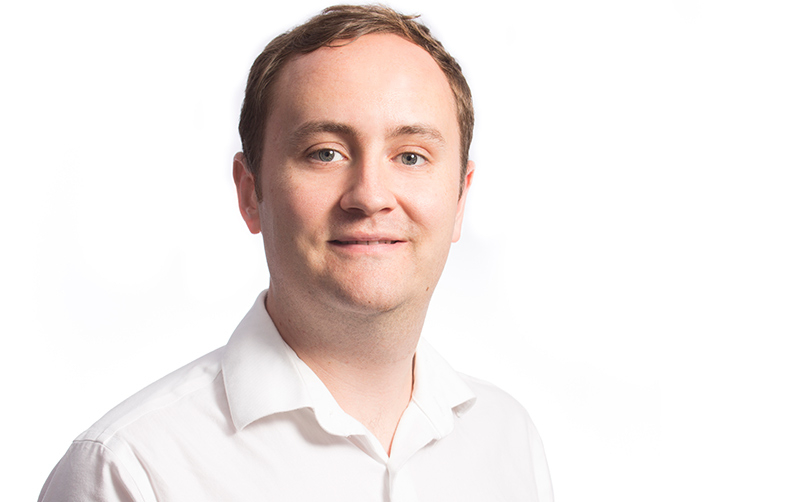 When Cal State Fullerton Mihaylo College’s Assistant Professor of Economics Nicholas Huntington-Klein went to study the impact of fellow women on female progress and achievement in professional and academic settings, he turned to a less than typical data set – yearbooks from the U.S. Military Academy in West Point. Looking at the decade after the prestigious New York academy began accepting women cadets in 1976, Huntington-Klein and his counterpart at the University of Washington, Elaina Rose, examined whether the presence of fellow women propelled female cadets to advancement. Examining the classes of 1981 through 1984, Huntington-Klein and Rose discovered that the progression gap between men and women was cut in nearly half when another woman cadet was in the company and eliminated altogether with the presence of two other females. Concluding that having female peers is essential to the success of women attempting to progress in historically male-dominated spaces, the study, recently published in the Harvard Business Review, has possible implications for other professional and scholastic settings as women advance in leadership roles. Continue reading about the study, its implications and limitations, in this CSUF News article. 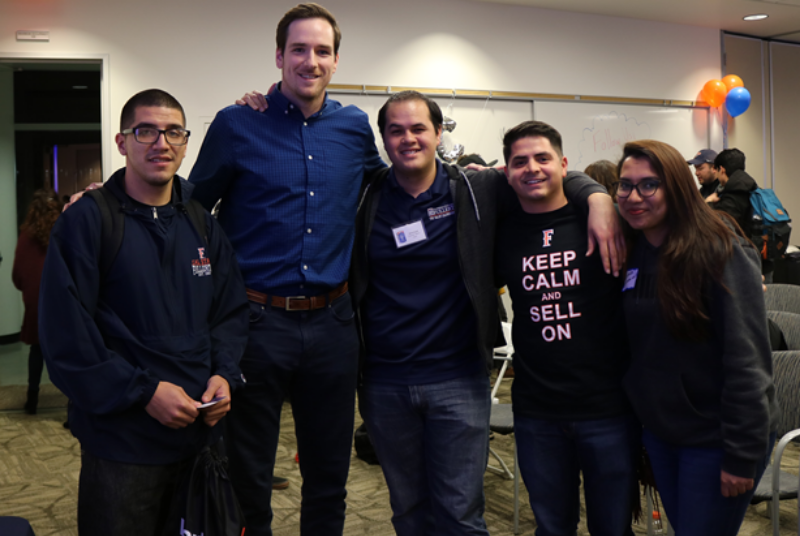 Olympian Murphy Troy (second from left) poses with Cal State Fullerton sales students after the Spring Kick-Off on Feb. 5, 2019. Murphy Troy, a member of the bronze-winning U.S. volleyball team at the 2016 Olympics, discussed the victories and challenges in his sports career and his current account executive role at Irvine-based software firm Alteryx. While Missouri native Murphy Troy was studying physics at USC at the beginning of this decade, his mind was focused on a single goal: landing a spot on the winning Olympic volleyball team. After his graduation in 2011, Troy maintained his focus, playing his sport professionally and seeking opportunities to enter international competition.